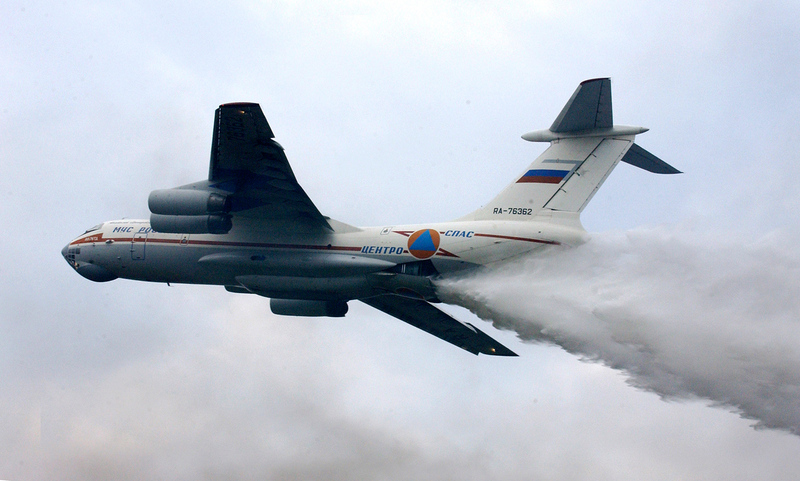 The Il-76 is capable of dropping over 42 tons of water on wildfires at a time and is the world’s largest fire-fighting plane. An Ilyushin Il-76 plane has arrived in Chile to help extinguish raging wildfires and protect local communities, Russia’s Emergencies Ministry told TASS on Jan. 30. "An Il-76 fire-extinguishing plane has landed in Santiago. It will shortly start extinguishing fires in the areas with the most complex situation," the ministry said. The special plane took off from Moscow and headed for Chile om Jan. 27. It performed a Moscow-Santiago transcontinental flight covering a distance of over 15,000 kilometers. The plane made several stopovers along its route. Chile has declared a state of emergency in six regions over raging wildfires. ‘The crew is prepared for work in complex conditions and has extensive experience of extinguishing forest fires. It has participated on numerous occasions in eliminating emergency situations both in Russia and abroad," Russia’s Emergencies Ministry said.